How do I lock the screen for Windows 8 in a virtual machine? 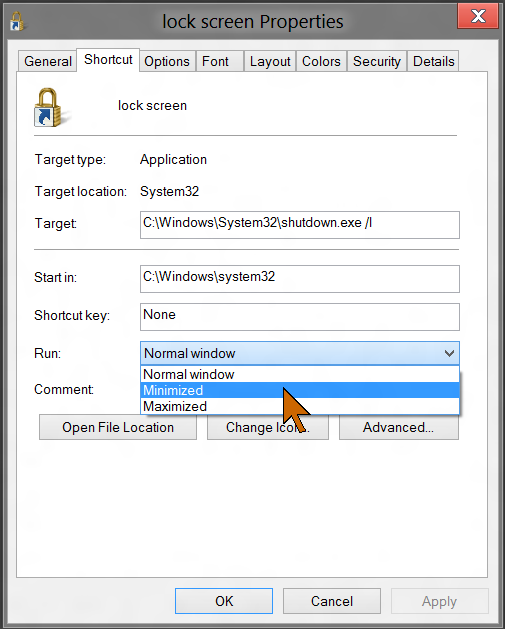 Aha, you noticed that when running Windows 8 in a virtual machine the lock-screen shortcut, logokey+L, locks the host system as well as the guest system. This is true for VMware Player and Oracle Virtualbox. This shortcut is intercepted by both the host and the guest and you have to sign in to both to get back. It is a very convenient and quick way to blank the screen when you need to leave the computer. To lock just the virtual machine here is the long way: Press the logokey, then click on your name in the upper right and click Lock. If you are mostly working in the desktop you can also place a shortcut on the desktop to allow locking with just a double-click on an icon. Right-click on a free space on the desktop. Click New and in the secondary menu, click Shortcut. 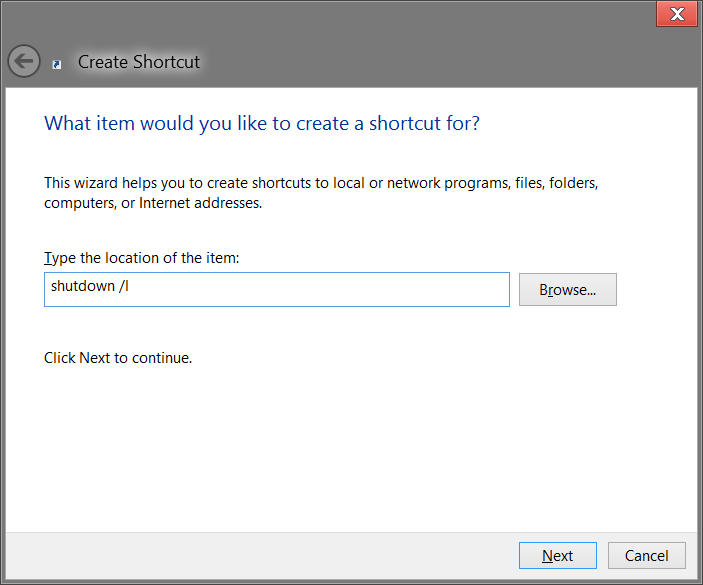 In the Create a Shortcut dialog, enter this text: shutdown /l – the word “shutdown” followed by a space then a slash and a lower-case L. Don’t worry, this command will not shut down the system just lock the screen. Replace the default shortcut name “shutdown” with lock or lock screen for the name of the shortcut. You now have an shortcut on the desktop that looks about as shown here. For a better looking icon, right-click the shortcut, click Properties, then click Change icon. Click OK in the complaint dialog. 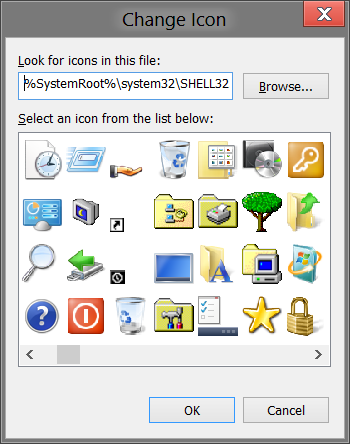 An icon selection dialog opens. Click the one you like. I like the padlock symbol. Click OK to close the Change Icon dialog. Click on Normal window in the Run box and click on Minimized. This will prevent the command box from flashing on the screen when the icon is double-clicked. Click OK to close the Properties dialog. You now have a nice looking “lock screen” icon. To lock the screen, just double-click this shortcut. Only the guest system will be locked down, your host system will not have to be unlocked. To ask a question please send me a message. You do not need to have an account, just an email address so I can respond. My desktop shortcut icons are gone. How do I get them back? How do I change the On-Screen Keyboard from English to another language? What is a OneDrive Album? How do I make a OneDrive album public? How do I send pictures by attaching to email rather than using Photo Email? How do I draw shapes in Paint? Can I re-import photos when the computer says no new photos were found? Can the defaults for WordPad be changed? How do I get the URL of an image in my WordPress blog? 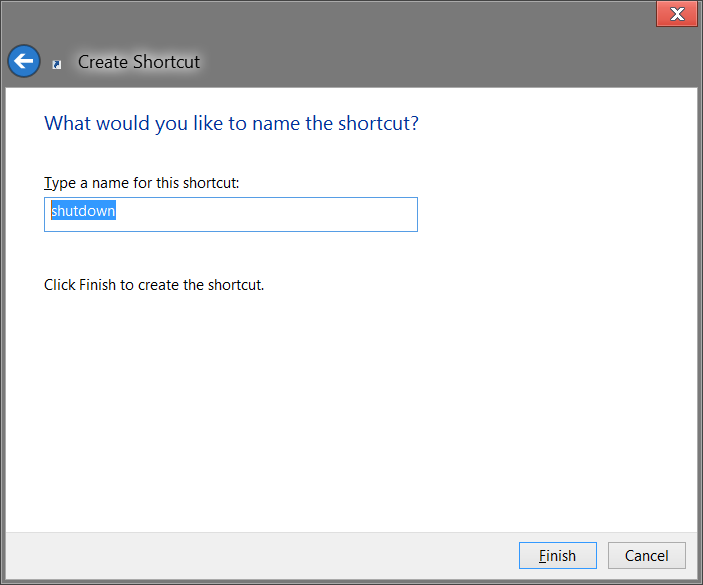 How do I create a desktop shortcut to Edge in Windows 10?